My Eulogy to my dearest grandfather… | Who? I wanted to speak to you at your cremation…however I was told I couldn’t. 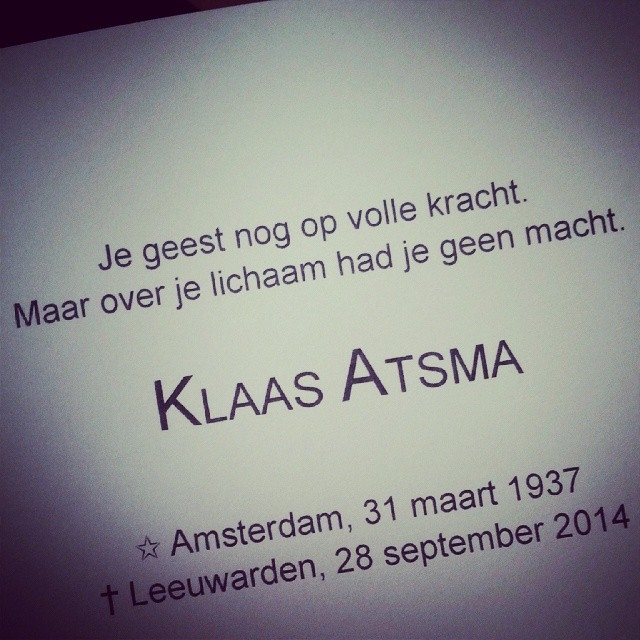 Opa Klaas for a really Long time I always saw you to be this very cold hearted strict arrogant man. But ooh how I was wrong…Unfortunately for me I found out too late.. I know you will watch over me and guide me.. I know you will be waiting for me on the other side.. I love you all and still miss you every day…until me meet again.. This entry was posted in Uncategorized and tagged cancer, Dying from cancer, finding love, friends, gone, grandfather, Happiness, Hodgkin lymfoom, lessons, loss, loved ones, Missed, mistakes, pain, R.I.P., respect. Bookmark the permalink.